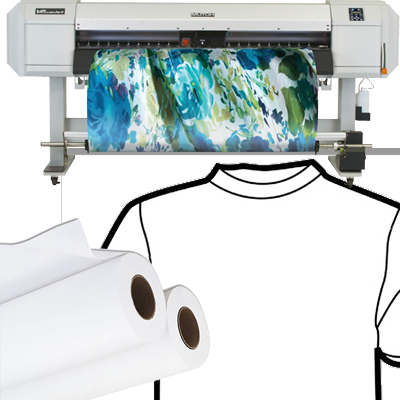 Dye-Sublimation Ink: to be printed with special dye sublimation ink, which can be sublimated with hot calendar at a temperature of about 392°F to polyester fabrics. Quick dry: The special coating effects that ink will be absorbed in a fraction of a second therefore applications can follow directly after printing. Storage should take place in a climate from 35 to 65% to relative humidity at a temperature from 50 to 86°F.